Foundation waterproofing is the process of using waterproof materials to prevent water and moisture from infiltrating through the foundation of a building to the basement. Waterproofing solutions and services are necessary for every building. Foundation waterproofing should be highly considered for areas where ground water is likely to increase and raise the water table. 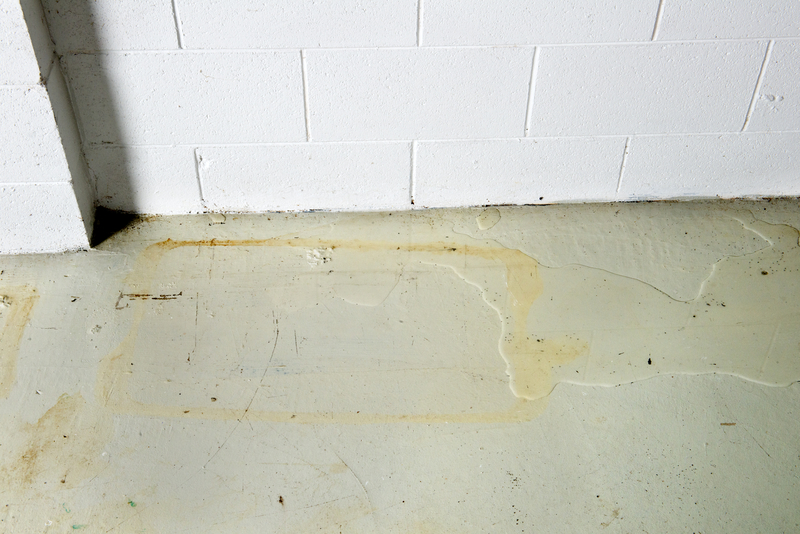 Too much water beneath the foundation causes hydrostatic pressure that can damage the foundation. If not well-taken care off, it can bring down the entire building. Keeping water away from the foundation needs the best and durable waterproofing method. It is not always easy for homeowners to figure out the best waterproof method to install. This is why Waterproofing Singapore contractors offer advice on the best foundation membrane to install. There are several waterproofing materials and methods that are available. Also, there advantages that favor one method to the other. Just like many home repairs and remodeling, there are always different ways of solving a problem. Injection applications in the foundation. Liquid injection methods which are epoxy and polyurethane injection. Digging around a foundation and installing a waterproof membrane. This process involves injecting polyurethane and epoxy paste in the foundation walls. Holes and cavities that are present in the foundations can also be fixed with pressurizing these pastes into them to block them. This is a common method of repair because it is less costly and takes lesser time to block any kind of leaks. This process will reduce dampness in the membrane and will strengthen the concrete walls. This method binds walls together and is also a repair method for existing cracks and cavities. Polyurethane is different from epoxy because it is very flexible. It is easier to switch from polyurethane to silicone. Also, it expands considerably to fill in cracks and cavities in the foundation. Even though polyurethane is the most popular solution to foundation waterproofing, epoxy is equally useful. Each type of the liquid membrane has its limitations and advantages. It is important for you to rely on the Waterproofing Singapore professionals to select the best method and waterproofing services for each foundation problem. Waterproofing method becomes more effective if the interior side is also waterproofed. It helps in preventing water that might have infiltrated and seeped through the foundation from reaching the interior parts of the house. Especially the basement area, it is necessary to have interior waterproofing. This includes traditional techniques like installing sump pump that will be pumping out water from the basement. However, Waterproofing Singapore does not recommend this mechanical solution because it is not durable and effective. It requires a lot of maintenance care and check-up services to ensure that the pump is working well. For concrete materials, it is important to consider methods that are long lasting, easy to maintain, and effective. Digging the Foundation and installing Membranes. The foundation of a building should be well taken care of because a weak foundation is fatal to the dwellers. For a perfect waterproofing, it is important to dig around the foundation for a perfect membrane installation. In most cases, a foundation of an already built house is usually covered with sand. Therefore, it is challenging to address the problem with the foundation concrete if the area is not visible. Poor membrane installation will only lead to a weak foundation that is vulnerable to water and moisture content. If the foundation has visible cracks, they can be repaired through the liquid injection process. Repairing the cracks prevents the leaking problem and will keep the water away from reaching the basement. If cracks are not repaired, they will enlarge and join with others to form cavities. With time, the foundation will become weak, and water will infiltrate and flood your basement. Also, a wet foundation will attract the growth of molds that have negative effects on your health. Repairing cracks will solve long term problems in the foundation. Remember to hire experienced contractors to handle your waterproofing problems. Waterproofing Singapore offers you the best foundation waterproofing membrane because we have trained experts. You no longer have to worry about the safety of your foundation. We have the best solutions for you at hand. Contact us today.